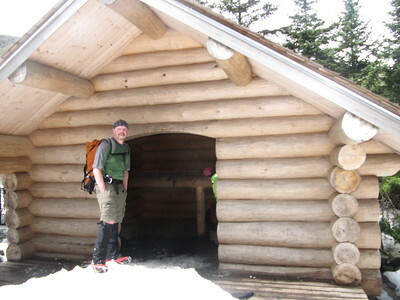 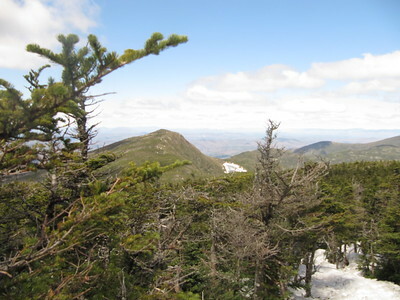 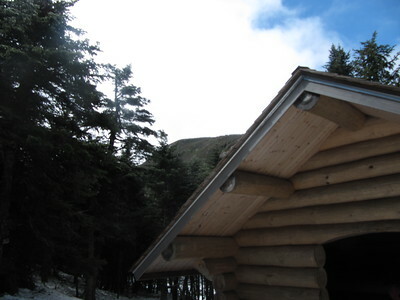 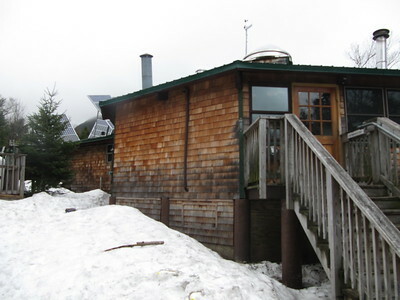 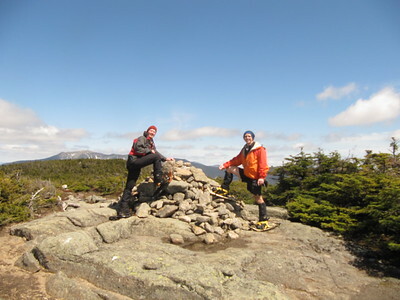 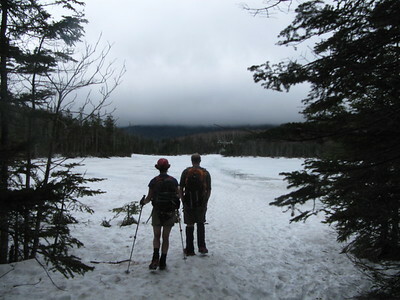 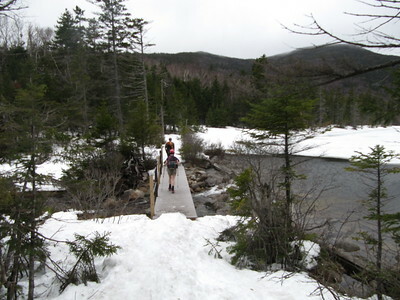 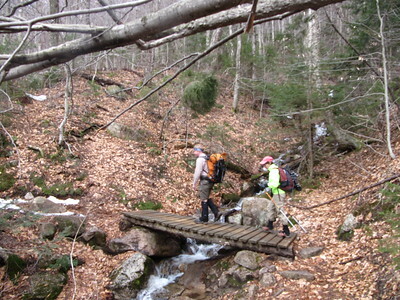 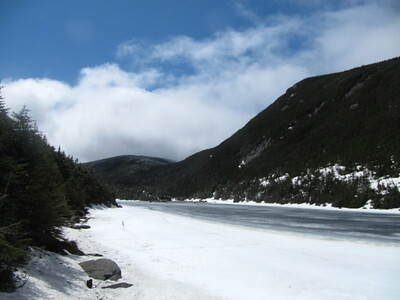 A spring hike to North Kinsman [4293 ft.] with its spectacular view of the Franconia Range and South Kinsman [4358 ft.] with fine views in all directions. 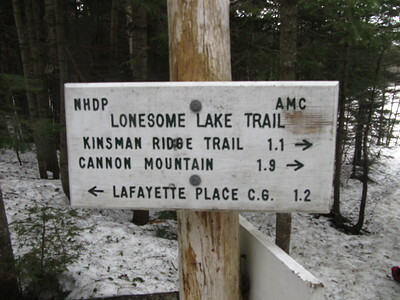 The Kinsman are ahead of us in the clouds. 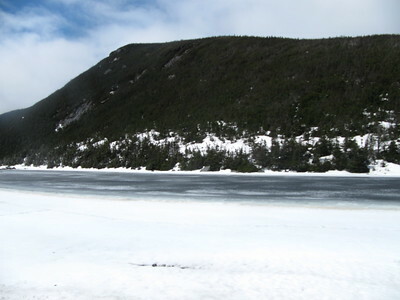 South Kinsman at the end of the Pond in the background. 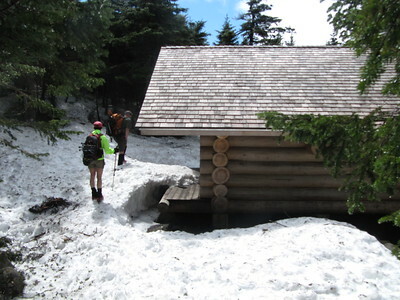 Three hours later the trail junction to the Kinsman Pond Shelter. 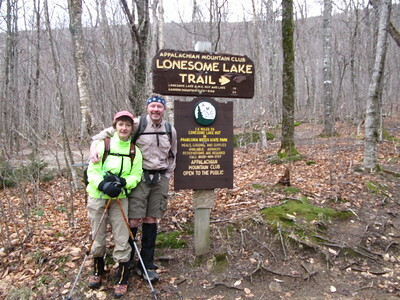 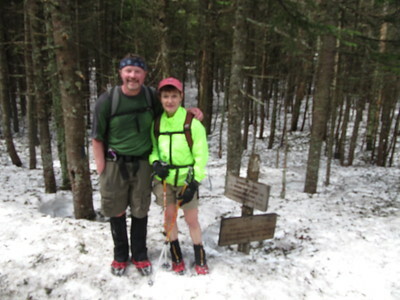 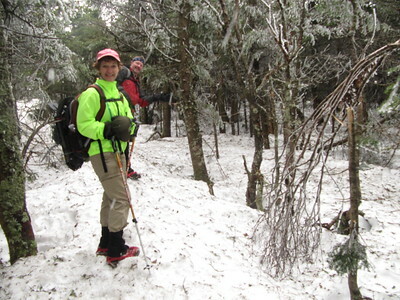 Lorraine and Mike; 9AM at the trailhead. 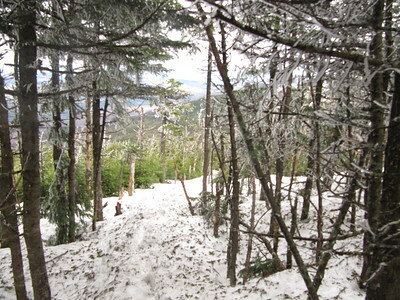 Icy glazed trees at 4,000 feet near the North Kinsman summit. 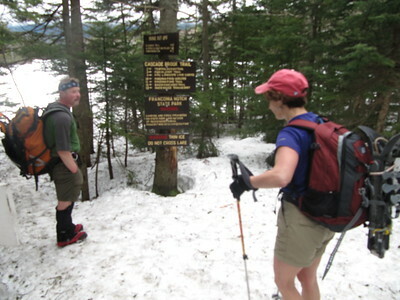 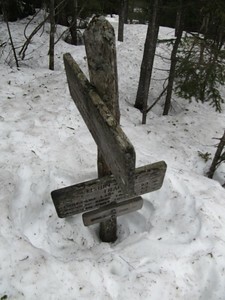 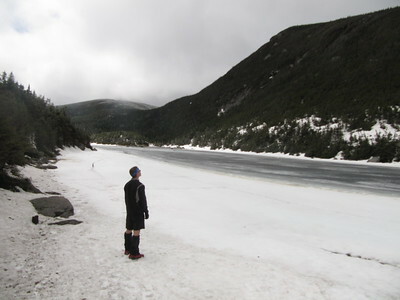 Deep snow at Lonesome Lake. 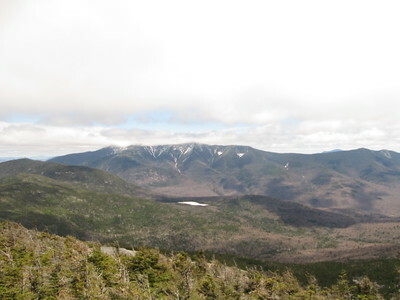 White patch below Franconia Range is Lonesome Lake where we were at 4 hours ago. 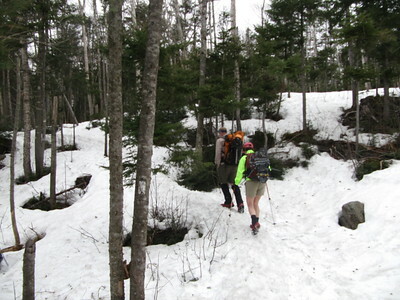 Headed back to the North Kinsman summit...yes we had to climb it again.